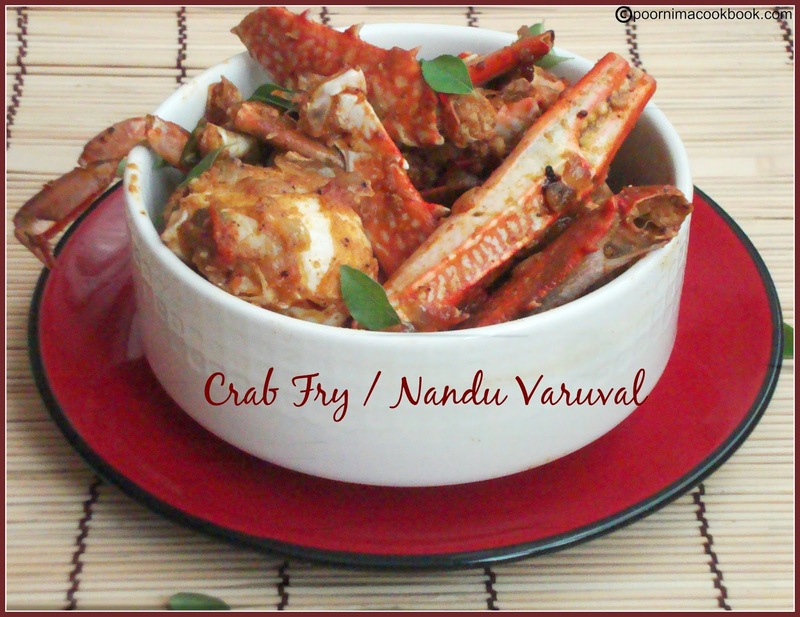 This crab fry is a delicious and also easy to prepare recipe; you can serve this hot and spicy crab dish as a starter or as a accompaniment with rice paired with Crab curry / Nandu kulambu. Yummy! De shell and wash the crab; keep aside. Heat oil in a kadai; add the curry leaves. After it splutters, add the onions. Saute till the colour changes; then add ginger garlic paste, tomato, turmeric powder and salt. Saute till tomato becomes soft. Now add all the spice powders and keep frying till the raw smell goes. Then add the crabs and mix till the masala coats well. Close the lid and allow to cook (no need to add water as crab leaves enough water to cook. If you find it dry add ½ of water). Sauté well till it becomes dry and add coriander leaves; switch of the gas. Very tasty lips making recipe. I can get the smell of d Njandu till here. mm Delicious. 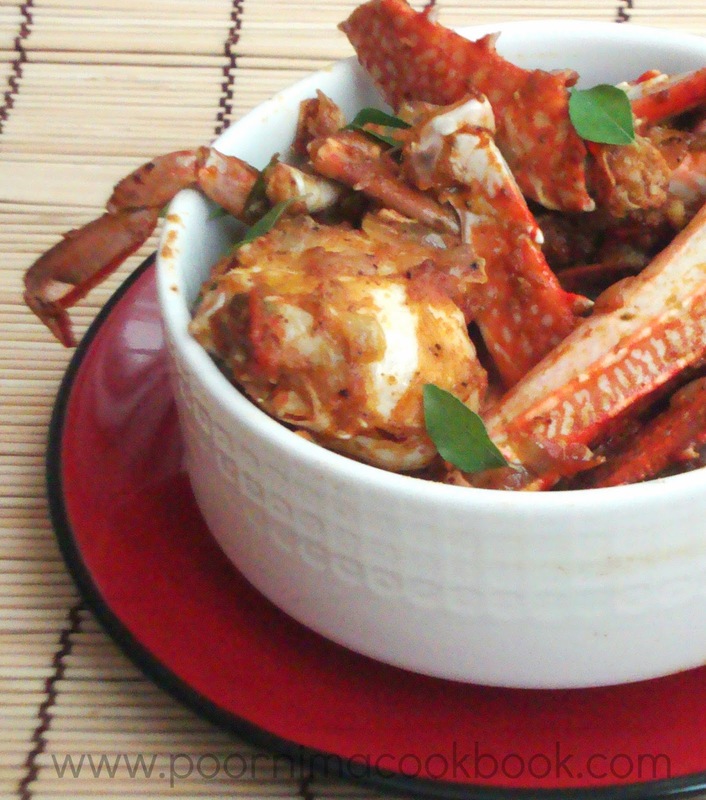 Can have this crab fry happily with a bowl of rasam rice,so tempting.